Description Hungry Sumo! Eat more to grow your sumos bigger and stronger. 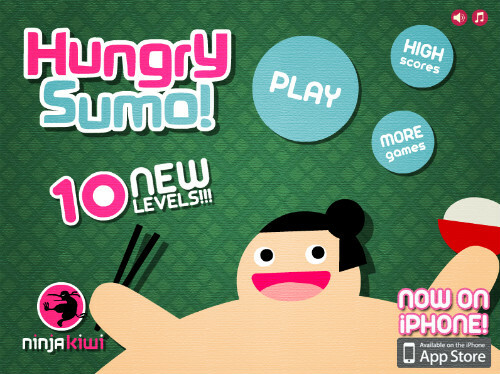 Learn to defeat your enemies with cunning, guile and a huge bowl of rice! 50 exciting fun levels to bounce through - play this completely unique and brand new Ninja Kiwi game. Controls Mouse over your sumos to grow them. Do not touch enemy sumos while growing.